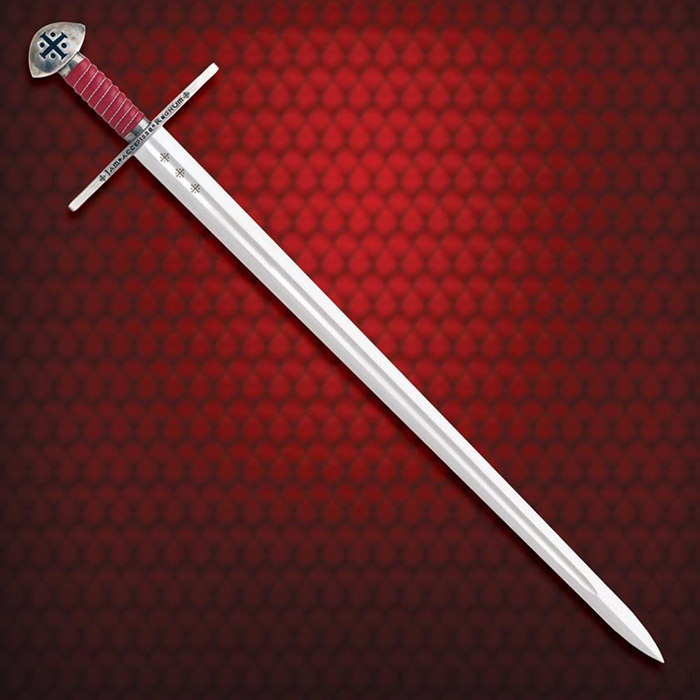 1066 AD will forever be known as the turning point of British history, when Duke William "The Conqueror" (or William the Dickweed, depending upon your point of view) invaded and became the first Norman King of England. 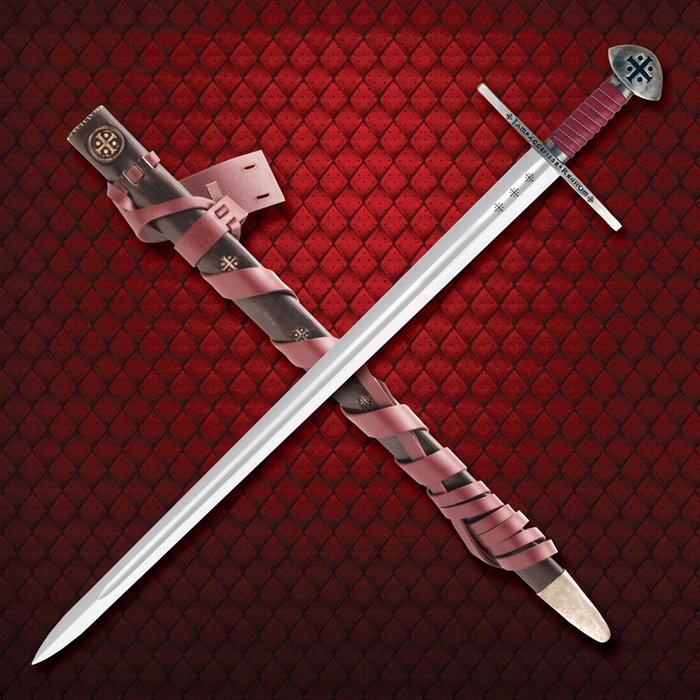 This magnificent sword represents the epitome of this heroic time. 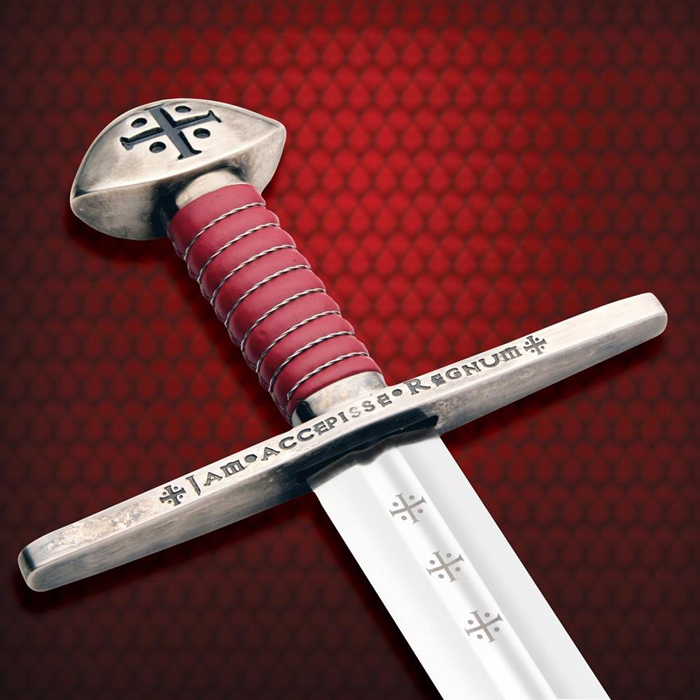 A wide fuller lightens and strengthens the well-tempered blade, and the classic brazil-nut pommel and the fuller have been inset with the battle cross of William. 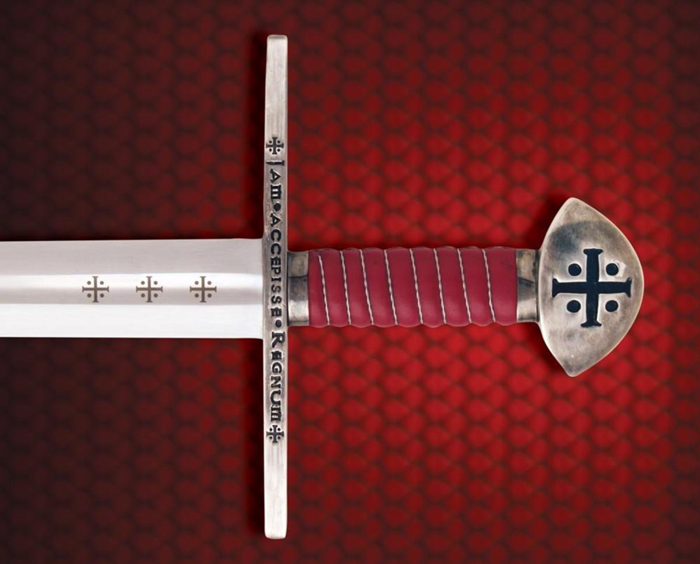 The crossguard of this sword has been inscribed with the Latin phrase: 'Jam Accepisse Regnum', in honor of the legend that says that upon landing on the shores of England for the first time William declared "I have already grasped my Kingdom". 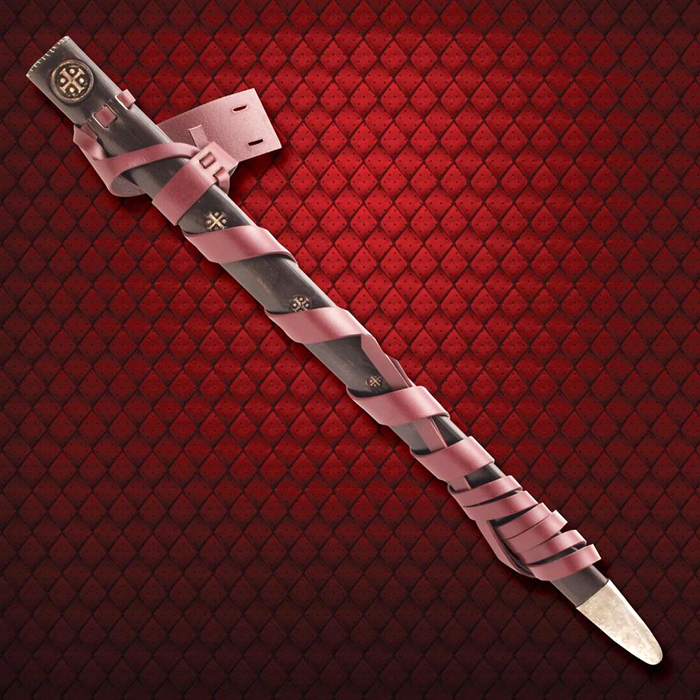 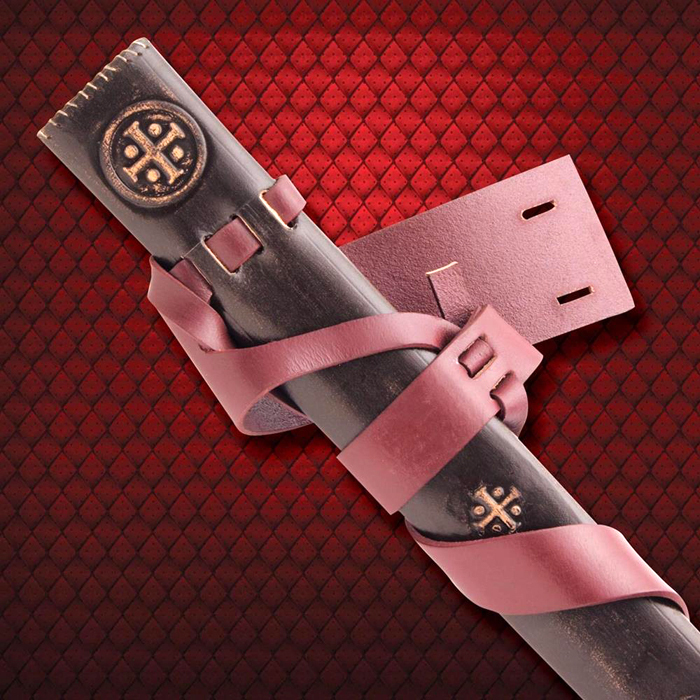 The sturdy hilt is wood covered in blood red leather wound with braided silver wire, and this fine blade is completed by a leather embossed wood core scabbard and a matching historical suspension blood-red belt.